Mihir is distraught by finding Mihika in such wrong state with Ashok. While Mihika tried to tell everyone that it was all her plan to show Ashok’s true side to Shagun, even then Mihir and Shagun does not believe her. Shagun blames Mihika for enticing Ashok and ruining her marriage dreams. 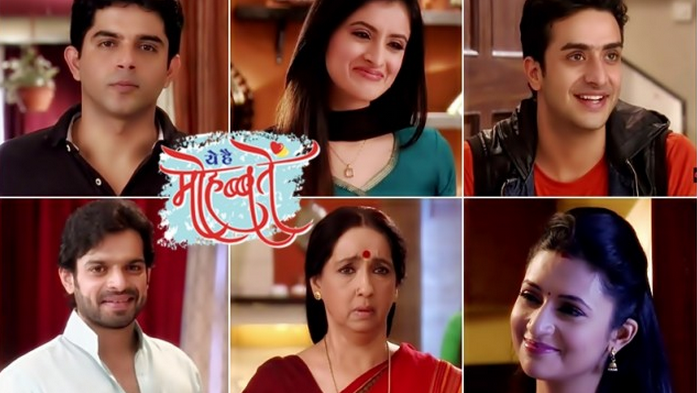 Mihir too falls in Shagun’s words and develops a wrong picture in his eyes. Mihika clarifies to Ishita and the latter believes her. Ishita and Raman have a calm talk about this problem. Ishita tells him about Mihika’s genuine concern and worry for Shagun. She tells how Mihika took her advice saying it’s her friend’s problem whose fiancé was cheating her. Raman believes Mihika too, but does not know how to explain Mihir who aren’t in mood to talk to anyone. Raman and Ishita both talk to Mihir, and explain him the outright situation. Mihir does not accept any explanation and the couple fail to convince him. Ishita gets worried for Mihika. Raman pacifies her as she rests in his lap. Raman tells her that he is the root cause of all problems, while she regards him to be the biggest support in everyone’s life. Raman decides to part ways with Ishita for the welfare of all Iyers who became Ashok’s target because of his relation with Iyer family. Will Ishita make Raman understand their bond of togetherness? Mihika is worried for her and Mihir’s relation. Will Mihir and Shagun realize Mihika’s concern for them? Keep reading. Whatever happens Ishita needs to confess her love. They both need to, I can’t wait anymore! Ishra cannot be separated! !